As promised, some news about our Signal to Noise radio program. After a year and a half of hosting the program at Blowupradio.com, we have moved into the awesome studios of WFDU-FM in Teaneck, NJ. I (Al C) discovered a ton of new music on the airwaves of WFDU when I was a teenager long, long ago. I heard the Replacements for the first time on WFDU. I heard the MC5 for the first time on WFDU. To me, hosting a radio program on WFDU is like being asked to play shortstop for the Yankees. 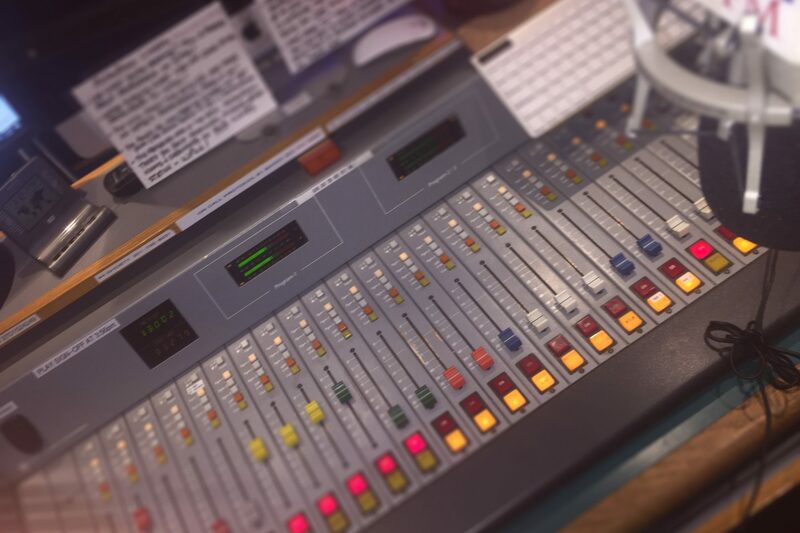 You can hear the program each Tuesday night at 10PM on FDU’s HD2 station, which you can find online here, or on IHeartRadio.com, or on the station’s smartphone app, which you can get for free from your friendly neighborhood app store. • The new program is three hours long: from 10PM til 1AM. Because it’s twice as long as the old program, I can’t really play New Jersey music exclusively – it would bore everyone to tears. As such, the new program focuses on noisy rock and roll from all over, with a focus on NJ and NY bands. You’ll still hear plenty of artists local to the NJ/NY area, though. • The new program happens live, in real time, which means I can actually talk about things without the weird “time travel” thing I used to have to do with the old program. The old program was prerecorded several days in advance, so I’d have to talk about things that hadn’t happened yet (like that weekend’s shows) as if they already had. • The new program is aired from a proper studio, which means I’ve got a couple of guest microphones and some space. This permits me to actually have guests in the studio, which I hope to do with frequency. In fact, for the first episode of S2N, I had the members of Lip Action with me, and this week I’ll have Vomitface. • Eventually we’ll get the episodes archived on Mixcloud as a podcast, but until then you can hear the program on WFDU’s Rewind, which archives the programs for two weeks. You can also view the playlists on the Signal To Noise website. It’s pretty exciting to launch a new thing like this, but I’d be remiss if I didn’t think Lazlo at Blowupradio for giving me the opportunity to host the program on his station. Lazlo has been supporting NJ music for as long as I can remember, and anyone who has ever been involved with original music in the state owes him a debt of gratitude. We hope BUR continues to evolve and offer local bands opportunities to have their music heard, well into the future. Thanks, Lazlo!